Here’s what’s up in the world of TV for Sunday, July 23. All times are Eastern. 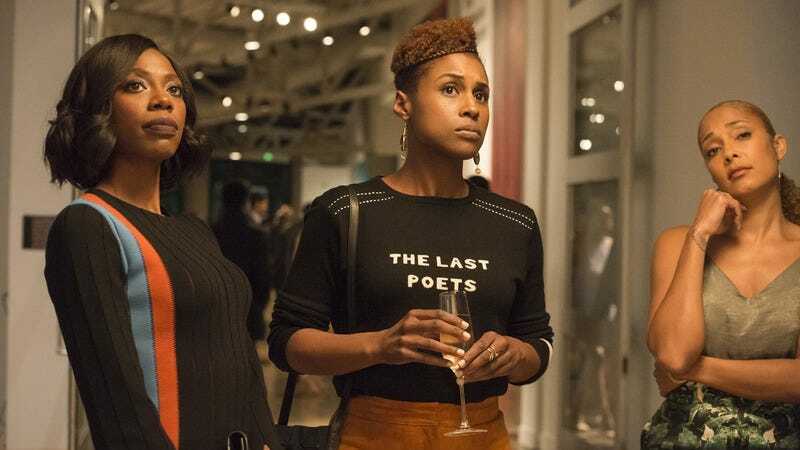 Insecure (HBO, 10:30 p.m.): Issa Rae’s acclaimed autobiographical series returns for a second season of exploring female friendship and quarter-life crises with a Rae-penned season premiere. In “Hella Great,” “Issa (Issa Rae) struggles in the aftermath of her breakup with Lawrence (Jay Ellis), while facing challenges at a new work assignment. Molly (Yvonne Orji) questions her worth at work. Lawrence adjusts to his new living arrangement.” Reviewer Ashley Ray-Harris returns to pick up where everybody left off after season one. What makes Ballers work to the extent that it does, naturally, is Dwayne Johnson, who, as star player-turned financial manager Spencer Strathmore, strolls so confidently through the series that his clients’ straw man problems take on more weight than they appear capable of bearing. Without Johnson at its center, Ballers would simply dissipate like the shallow fluff it is. So is The Rock learning valuable problem-solving skills on Ballers that he will eventually be able to apply to the entire country? Stay tuned!